It takes more than perks to attract, retain and engage today’s diverse, socially-conscious workforce. Purpose, passion and an ability to make an impact are important to employees — especially millennials, who are projected to make up 50% of the global workforce in just 2 years. According to a 2016 employee engagement study published late in 2016, 74% of employees surveyed said their job is more fulfilling when they are provided with opportunities to make a positive impact at work. The number is even higher for millennials at 88%. Increasingly, businesses that align their corporate giving programs with their people programs are seeing gains in employee engagement. But for these “Goodness” programs to have their intended effect with employees, they can’t just focus on doling out dollars to a small list of charities or a once-a-year mandatory volunteer event. People connect more to giving when it’s personally meaningful, centered around causes and activities that they care about, and when it’s not just a one-and-done thing. This is why some of the world’s most desirable employer brands are embedding more innovative and engaging volunteer programs into their culture. A corporate volunteer program not only gives your people opportunities to do good, it’s also good for them, as volunteering enables them to develop skills, strengthen relationships with their coworkers and feel more connected to their employer and the communities in which they work. But to reap these rewards, companies need to build programs that inspire authentic and lasting engagement. Traditionally, many businesses have approached corporate volunteering just like they approach corporate giving — they select a few organizations to support, and then encourage their employees to participate. But when it comes to volunteering (as well as giving), companies get more engagement when they let their people take part in choosing how, where and when to devote their time and talents. 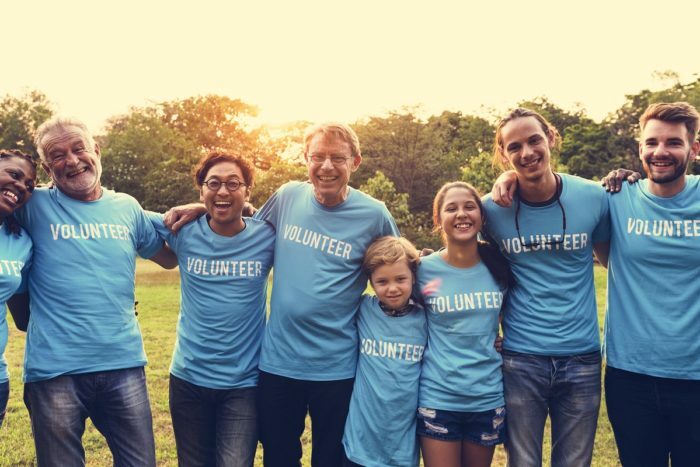 People are more likely to participate when a volunteer activity is something they are passionate about, whether because it benefits a local organization in their own community, or the cause is near and dear to their hearts, or because it gives them the opportunity to use a skill that they enjoy sharing. This strategy has paid off in increased employee engagement for Total Quality Logistics (TQL), the second largest freight brokerage in North America and one of my company’s clients. With a 10-year-old giving program already in place, the Cincinnati-based company saw engagement decline as its operations expanded across 58 locations. TGL found that what was meaningful for people in Cincinnati didn’t necessarily resonate with employees in Orlando or Knoxville. People were still passionate about giving back, they were just doing it outside of the company program. When TQL decided to focus on an “open choice” approach to giving and volunteering, engagement went back up, and participation hit an all-time high of 75%. Another way to increase workforce engagement with volunteerism is to make it easier for people to participate. Longer term commitments may be attractive for some people, especially those who want to connect deeply with a particular organization, but employers need to offer a range of volunteer opportunities so that workers who have time, travel, childcare or other constraints can also participate. When Microsoft, another Benevity client, asked employees who didn’t participate in their volunteer program what was stopping the, the #1 answer was, “I want to, but I don’t have time.” Microsoft addressed this issue by offering over 100 “micro-volunteering” events in a single month where they brought non-profits to their campus. Employees had the opportunity to spend an hour or two taking part in a range of activities, like making care kits for homeless shelters. Strategies like this can prove to be an incredibly effective way to increase camaraderie in a large organization. Technology, like the kind my company offers, enables people to add volunteer opportunities they are passionate about to their organization’s program which boosts inclusivity, and makes it easy for people to sign up, track hours and get the word out about events. Authenticity matters. A great way to foster authentic engagement with corporate goodness initiatives is to make volunteerism an ongoing part of your corporate culture. At Benevity, for example, we start on day one: new employees get to take part in a volunteer project during their week-long company orientation and onboarding process. This sets the tone for how we present our corporate culture to new employees, and also gives them the opportunity to have fun and begin building meaningful relationships with their coworkers and the local community as soon as they arrive. People volunteer their time for a host of reasons. Employers can increase involvement by offering rewards, turning a volunteering commitment into a team-building exercise or by giving employees the opportunity to learn a new skill or develop existing talents through giving back. Skill-based volunteering, in particular, results in a more meaningful experience for participants, as it gives them the chance to support a cause they care about by sharing their talents (coding, for example). It also helps them develop skills like leadership, networking and problem-solving. When people do what they are good at, it’s great for the recipient and the benefactor as we often learn through teaching. Not everyone can volunteer, but when volunteering is part of an integrated corporate strategy, its impact is multiplied. Companies that offer multiple charity choices have found both increased giving and greater participation. This is especially true when organizations make it easy for volunteer time to be rewarded with “donation currency” that employees can then direct to their favorite cause. Integrating goodness programs also encourages greater employee awareness and engagement with charities that the business is invested in through grants, or with the causes that coworkers support. In this way, everyone in the organization becomes more closely connected to one another through the causes they care about. Organizations need to use every tool to engage, foster and retain employees who are eager to work at a place driven by passion and purpose. Volunteer programs — especially when they are employee-centric, flexible, inclusive and integrated with other innovative charitable activities — offer an excellent (and cost-effective) way for employers to maximize the business benefits of their social responsibility efforts while building a progressive brand that aligns with the values of today’s socially conscious workforce. Vivian Farris is VP People at Benevity, the global provider of corporate social responsibility and employee engagement software.